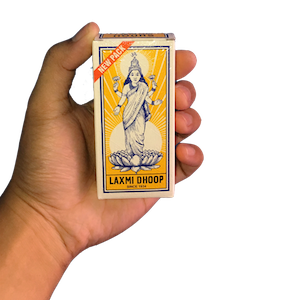 Buy Lakshmi Dhoop from the leading online seller of organic incense in the Philippines. Use this incense to attract wealth and prosperity into your life. A box contains eight 3-inch sticks, each of which can be burnt for about an hour and a half.